Opening hours: Shops in Casablanca are generally open Mon-Fri from 8.30am-12pm and 3pm-6pm, from 8.30am-12pm on Saturdays. Shops are closed on Sundays. The central market (Marche Central) in Rue Chaouia is open daily 6am-2pm. Banks keep similar hours and the main branches are open from 8.30am–12pm, some are also open in the afternoons. 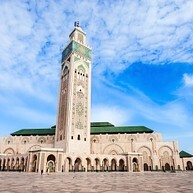 Today's Casablanca is a wonderful, cosmopolitan city that can be entirely enjoyed by venturing out on foot, discovering the stunning Hassan II Mosque with its impressive glass floor, the Old Medina in its many traditional Moroccan facets or the Art Deco new town (Ville Nouvelle). Sample traditional Moroccan cuisine, get lost through Casablanca's maze of streets or set out on a carpet hunt in one of the city's colourful markets - Casablanca is happy clash of old and new that gives away an insight into Moroccan culture and traditions. This outstanding mosque stands on a promontory looking towards the Atlantic. With its great capacity it can accommodate over 100,000 worshipers inside and on its courtyard. Its minaret, with its 210 metres, is the world's tallest, and its floor is entirely glass-covered. 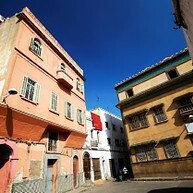 The Old Medina is also called Old Town or Ancienne Medina. This is a labyrinth of narrow streets decorated with tall, dusty buildings where locals bustle about and traditional knickknacks and curiosities can be purchased. 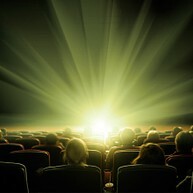 Cinéma Rialto dates all the way back to the 1930’s, making it one of the most suggestive cinemas for watching a film. The Art Deco-style is beautiful and the cinema seems to have been taken straight out of the movie Casablanca. Featuring elaborate Moroccan and European architectural styles, Cathédrale du Sacré Coeur is one of the landmark buildings in Casablanca. The cathedral has functioned both as a school and as a theatre. Place Mohammed V is a large and vibrant square that can be found in the heart of Casablanca and it is the ideal location to watch the every-day Moroccan city-life from one of the picturesque outdoor cafeterias. Marche Central is a bustling market well worth a visit when you are in Casablanca. Visiting this market is truly an experience - even you if are not buying anything from the vast selection of fruit and vegetables found here you can just enjoy cruising around and browse at the several stall. At the Museum of Moroccan Judaism you can learn about Moroccan Jews, their history and traditional artefacts. Its location, just off one of the main drags, makes it tricky to find it if not familiar with the area. 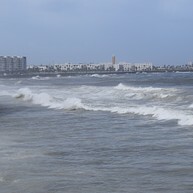 At Playas Ain Diab y La Corniche you can go for a romantic stroll at the beach, or have coffee in one of the coffee shops located at the seafront that offer a suggestive destination for both tourists and locals. 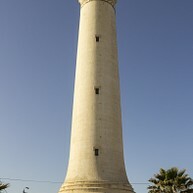 You can find this beautiful lighthouse at Boulevard de la Corniche. To get to the top of Phare d'el Hank you will have to climb 256 steps, from where you can enjoy a sweeping view of the city and the sea. Aquaparc Tamaris is a perfect day out with children and a fantastic option to escape from the heat of the city-centre. Here you can find pools, water-slides and other water-activities. The water-park is located about 5 kilometers from Casablanca. Ligue Arab Park is where to be headed if you need to get away from the hustle and bustle of the city-centre. 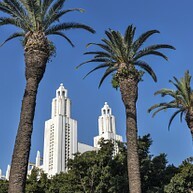 Wonderful for a romantic stroll or a good run, this green area features lush vegetation and palm-lined boulevards. If you are keen to try a genuine Moroccan Hammam when in Casablanca, Hammam Ziani can be a perfect solution. You can find this place in the city's downtown where you can choose from different relaxing massages or scrubs. Club Hippique le Barry is located outside Casablanca and provides various activities in a farm environment. If you come here as a group you will be offered entertaining team-building activities. 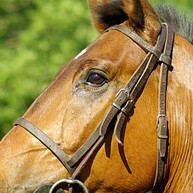 Club Hippique le Barry also offers pony rides, horse rides, paintball fights and quads. At Musée de la Fondation Abderrahman Slaoui you can enjoy art exhibitions, poster designs and much more. The museum is named after Abderrahman Slaoui, a real treasure hunter. You can find this hidden gem in the historic part of Casablanca.